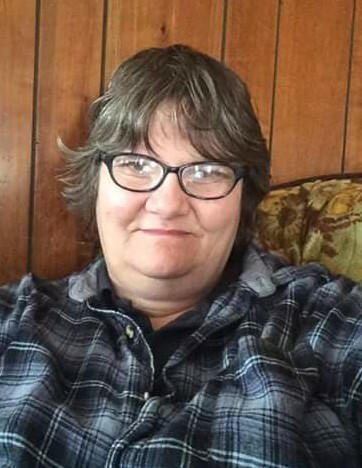 Angelique “Angie” Ison McGuire, 48, of Olive Hill, KY, entered into rest Sunday, September 30, 2018 at University of Kentucky Medical Center in Lexington. She was born July 22, 1970 in Mansfield, OH, a daughter of Phillip Ison and the late Debbie Abrams Ison. Mrs. McGuire was a homemaker and enjoyed attending various Apostolic churches in the area. She enjoyed fishing, scrapbooking, making crafts and playing video games. In addition to her mother, she was preceded in death by one brother, Lonnie Ison. In addition to her father, Angie is survived by her husband, Herman McGuire; her step-mom, Linda Ison; three daughters, Leaann Haywood, Nickie Ison and Tracy Bond; one brother, Shane Ison (Brittany); two sisters, Phyllis Stafford (Danny) and Billie Jo Ison (James) Trepanier; and several grandchildren. Funeral services will be conducted at 1:00pm on Thursday, October 4, 2018 at the Duvall & Moore Funeral Home. Burial will follow at the Ison Cemetery in Olive Hill, KY.